With all of the features of upscale island living in a city setting, is regarded as one of Sarasota’s newest crown jewel. Situated on Golden Gate Point, this Mediterranean inspired bayfront condominium offers only 10 sought after units with breathtaking views of the azure waters of Sarasota Bay accented by the twinkling lights of downtown. Eight of the units include three bedrooms and a den, three baths, a living room, dining room and master suite, totaling approximately 2100 square feet each. Ensuring privacy with only two units per floor, each of these units also includes a 28-foot porch and a private 2 car garage. Two penthouses with 4200 square foot living space include 360-degree views of the bay front and marina, the ultimate gourmet kitchen, a lavish master suite, two additional suites, library/office, gym, home theater, private roof top deck, a pull up dock, and an oversized two-car garage. Ideally located between St. Armand’s, Lido and Longboat beaches, and downtown, Golden Bay is within minutes from Sarasota’s finest shopping, dining, arts, and entertainment districts. Current prices start at $900K with prices going up north of $1.5M for the luxurious penthouse. 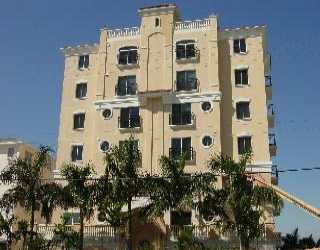 Give Annette Smith a call at 941-504-3922 if you have an interest in Golden Bay or any other downtown Sarasota condos. Annette and her partner Sandy Whitehead are downtown Sarasota experts.